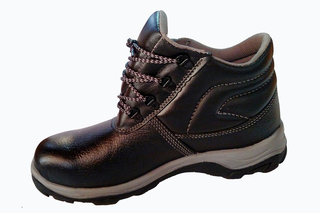 Leather shoe, water repellent, black, Nylon mesh lining, antistatic, puncture resistant steel sole,shock proof, antislip, steel toe cap, S3 PU/PU sole. To extend the life of your shoes, we recommend to clean them regularly and to protect them with adequate products. Do not dry your shoes on a radiator, nor nearby a heat source. EN ISO 20345:2011 Weight (s. 41) 590 gr. We’re professionals for supply and service of automatic entry , parking solutions & physical security equipments. We provide safe, innovative & high quality products that fulfill requirements of our clients. 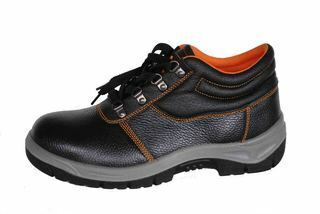 We are manufacturer pf safety shoes as well. Our company is known to never compromise on quality of their products, Our motto is customer satisfaction, employee motivation & technology. Tire Killer offers protection by disabling any intruding vehicle by destroying wheel rims and tires with low maintenance required and availability of wide range of choices of different standard widths. Tire Killers are extremely heavy duty, built entirely of steel with components from steel plate. The product provides high security for sensitive areas against forced and unauthorized entry or exit of motor vehicles whereby tires are destroyed when forced entry or escape is attempted. Manual barriers are raising arm barriers that are manually operated to control vehicle access. Manual barriers are ideal for parking control, road access and traffic management requirements. The E-TAG Vehicle Access Control System (eVACS) is and effective mean to control the access of vehicles to and area like, Parking Plazas, Residential Buildings, Housing Societies, Toll Plazas or any other place where the automated access or toll collection of vehicles is a requirement. The eVACS offers the advantage of un-assisted access to authorized users like residents of a housing society. In a multi-lane entrance where the visitors or unauthorized users have a separate entrance/exit lane, the system can keep the record of vehicles and persons going in and out of the premises. The road barrier is operated by RFID Access Control Unit or it can be controlled via push buttons in the guard room. In case of mains power failure the system is backed up by an emergency power source like generator or UPS. In case of backup power failure, the barrier can be manually operated via a key. The entrances with our automatic doors are elegant, with the most modern and sophisticated operators of the market, we offers solutions for all the needs of it’s customer. Our pedestrian entrances can b built with automatic sliding, swing & hospital doors. Give your entrance a modern look. 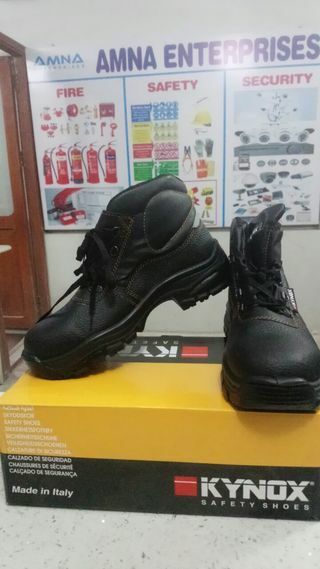 Gear tech is manufacturer of Safety Boots and Safety Shoes offer exceptional safety features in a range of stylish safety boots and safety shoes. Personal Protection Equipment is very important in a variety of industries, like construction and logistics. 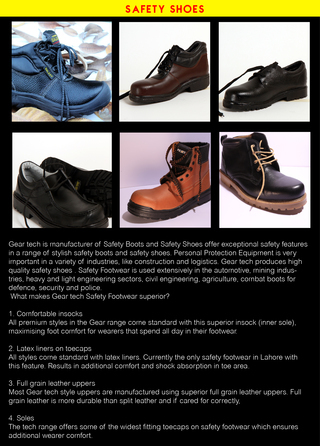 Gear tech produces high quality safety shoes . 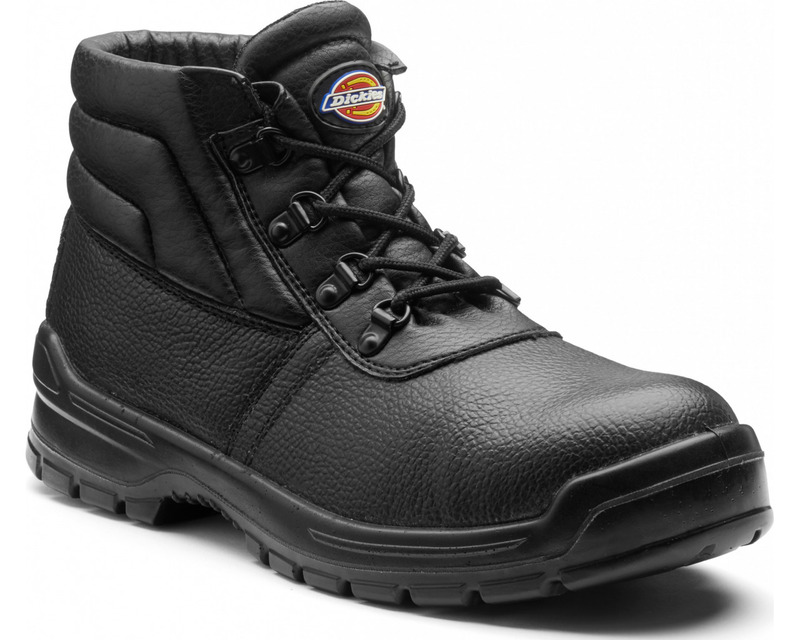 Safety Footwear is used extensively in the automotive, mining industries, heavy and light engineering sectors, civil engineering, agriculture, combat boots for defence, security and police. What makes Gear tech Safety Footwear superior? All premium styles in the Gear range come standard with this superior insock (inner sole), maximising foot comfort for wearers that spend all day in their footwear. All styles come standard with latex liners. Currently the only safety footwear in Lahore with this feature. Results in additional comfort and shock absorption in toe area. 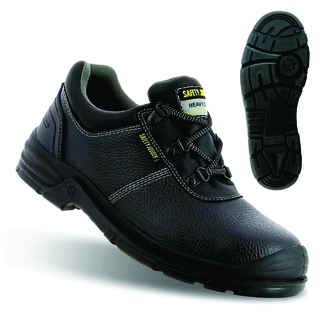 The tech range offers some of the widest fitting toecaps on safety footwear which ensures additional wearer comfort. 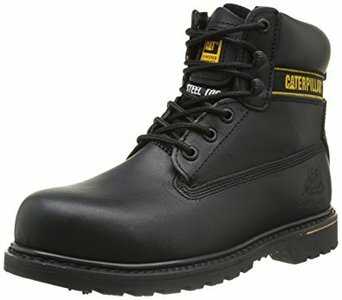 Safety shoes are considered a mandatory PPE on a construction site. Though safety shoes come in different varieties for specific job hazards but common types are construction, electric, antistatic and chemical resistant types. Fortunately if you encounter more than one hazard at your job sites, we can provide you shoes with all in one solution i.e. brands like safety joggers and CAD. We can provide you different brands (UK, US, China) a few of them include safety joggers, Caterpillar, Manager, Rangers, Kynox and Local made. Further we deal in all types of Industrial PPE’s, Automatic fire detection/alarms, water and chemical agent based fire suppression systems. Choose Amna Enterprises for your partner in Industrial protection as we offer wide range of cost effective solutions to cater all types of requirements. Weight (s. 8) 1.52 lb. Leather shoe, water repellent, brown, Nylon mesh lining, puncture resistant SJ Flex sole,shock proof,slip resistant , composite toe, S3 PU/TPU sole. 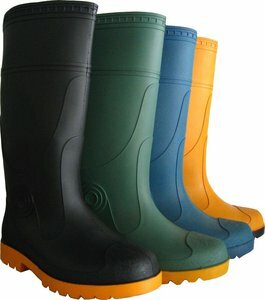 Comfortable safety boot in Barton grain leather with plain artificial leather, 4 D-hooks, with double density Polyurethane and Rubber (Oil, Acid & Slip Resistance) Sole SSG Pattern. 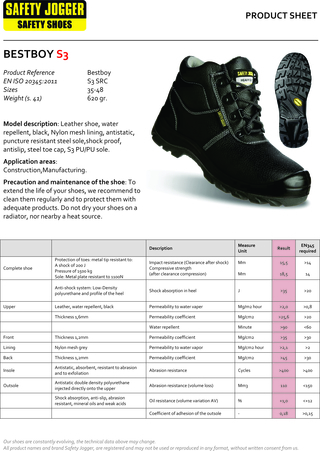 Lyra’s DDS-011/012 safety shoes of the protection class S3 offer stability and excellent absorption to all craftsmen. The puncture-resistant sole made of steel as per EN-12568 that protects the soles of the feet from pointed or sharp objects, whilst the profile ensures a good grip. In compliance with the requirements of the standard, the DDS-011/012 remains water penetration resistance, to ensuring that feet stay dry for long periods. 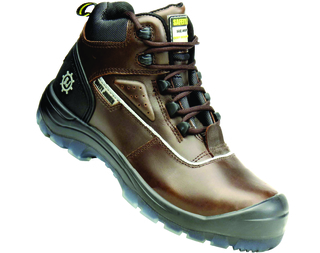 The toe cap made of steel as per EN-12568 protects the toes from pressure and impacts of up to 200 joule. And even after a long day, the excellent absorption properties ensure that the feet remain comfortable in the shoes. The reason for this is the energy absorption capability of the heel zone. Other features are the anti-static properties, a fuel-resistant, non-slip sole and the closed heel zone. Safety shoes encompass a wide range of protective footwear for a host of industrial, professional, and work-related applications. Common types of safety shoes include the following: (1) Safety toe shoes, which come with a covering around the toe area to keep the toes safe in factories and places where heavy industrial materials and equipment are being handled. (2) Steel in-sole shoes, which come with a steel insert to protect feet from joint problems in professionals where people have to drive heavy trucks or ride bikes and push pedals. (3) Metatarsal Shoes, which protect the upper part of the foot and bones to prevents injuries due to heavy equipment falling or dropping down on the feet. (4) Electrical hazard shoes, which are rubber lined to prevent electric shock from exposure to electricity, circuits, wiring and high voltage machines.